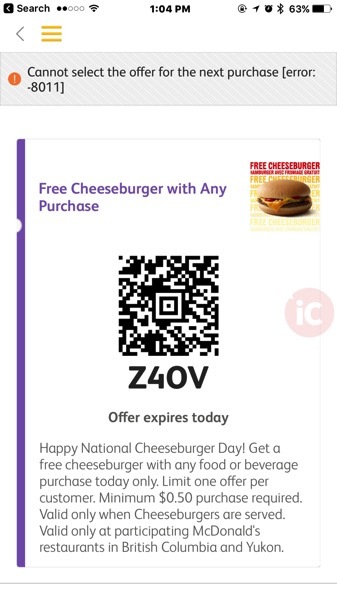 Today is National Cheeseburger Day (come on, keep up), and to celebrate, McDonald’s Canada is giving away free cheeseburgers via a special offer in their My McD’s iOS app. All you have to do is make a minimum purchase of $0.50, and you’ll be eligible for a free cheeseburger. 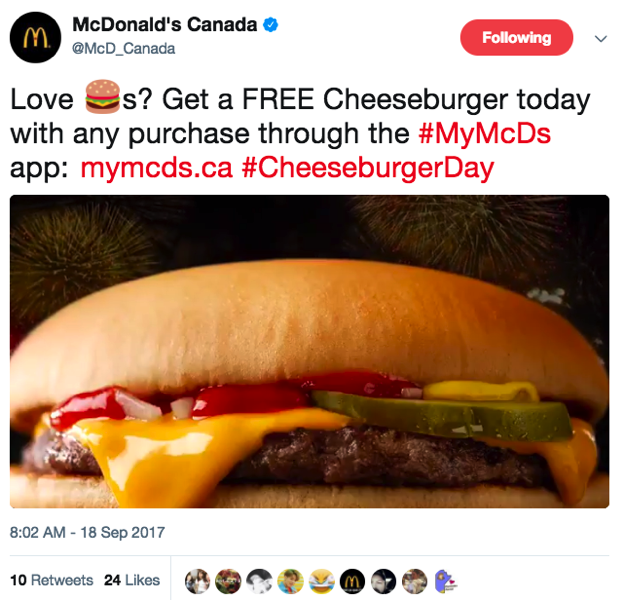 While the screenshot says the offer is only valid at restaurants in BC and Yukon, McDonald’s Canada tweeted out the offer today, so it should be available nationwide (we may or may not have tested this in BC an hour ago; note to self—go for a run).